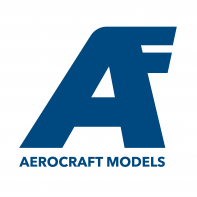 Showing results for tags 'Aerocraft Models conversion'. My DWI Wellington now completed, great feeling finishing a model for a change. Conversion made by myself available at Aerocraft Models. http://www.aerocraftmodels.com Decals are from DK decals, excellent decals. see http://www.dkdecals.cz the ones used here are on sheet 72069, another DWI is on sheet 72063, however tail turret cover is slightly different, but the rest of the conversion is the same. I issue a warning though if you purchase one of these or both as I did of these decal sheets I know like me, you will be tempted to purchase more kits as there are some great options to be built. Pictures not the best as the daylight is not that great in Scotland at this time of year so had to resort to some 'lights' hope to get some better ones in a day or two.